And then, of course, Shakespeare was simply bought. 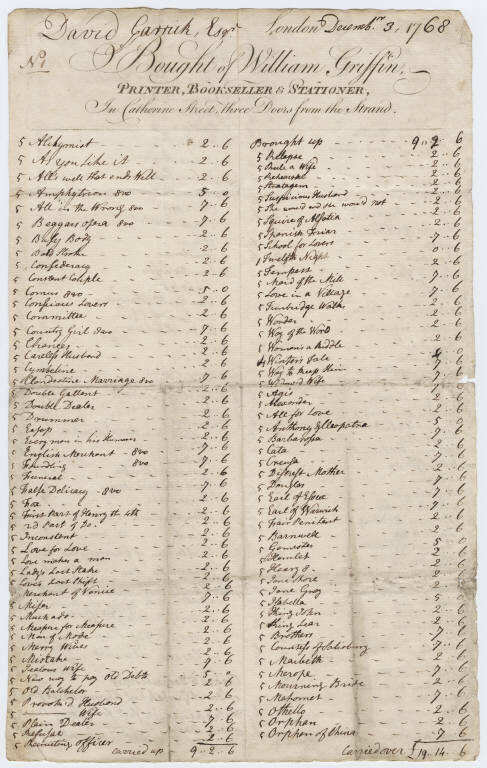 Here, another item not included in the exhibition: an inventory of books, dated Dec 3 1768, bought by David Garrick from London bookseller William Griffin. 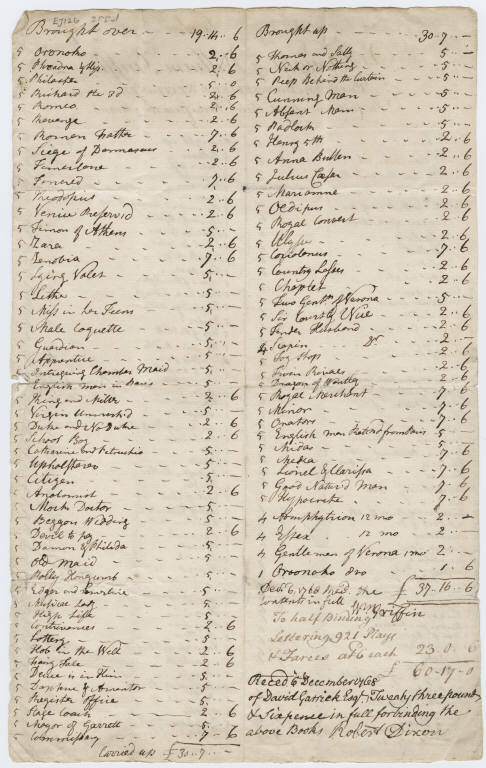 Part of the David Garrick Papers from the Thomas Rackett Collection, from the James Marshall and Marie-Louise Osborn Collection, Beinecke Library, Yale University. Call number: OSM MSS 125, Folder 41.